The Sound Blaster E5 is a 24-bit/192kHz high resolution USB DAC and portable headphone amplifier. Built with precision audiophile components, a best-in-class 600 ohm headphone amplifier and aptX technology for Bluetooth, the Sound Blaster E5 is the perfect audio component for music lovers, whether they are on the move or beside their PC/Mac. The Sound Blaster E5 is designed from the ground up, to reproduce high-fidelity audio with minimum distortion and noise. It is built on the flagship Cirrus Logic CS4398 Digital-Analogue Converter (DAC), with an impressively high 120dB signal-to-noise ratio (SNR) that supports sample rates of up to 24-bit/192kHz resolution. The Sound Blaster E5 is the result of Sound Blaster's relentless audio innovation since the PC era, backed by decades of legendary audio engineering expertise. With a proven track record of providing high-fidelity PC audio for discerning ears, the E5 now brings a high-resolution audio experience for your use with laptops, smart phones and tablets. High-resolution audio is measured by bit depth and sample rate that are used in digital audio recording. The higher the number of bits, the closer the audio file is to the original sound. 16bit / 44.1kHz, known as the audio CD standard, was selected as the best compromise between quality and file-size, while adequately covering hearing range of human ears. However, as seen in the diagram shown above, it is unable to adequately replicate the original recording during playback. Digital audio media that is above 16-bit/44.1kHz is classified as High-Resolution Audio. The most significant improvement comes from the increase in bit depth, which better replicates the original analog recording during playback. 24-bit offer 256 times the resolution of 16-bit CD, which means it is possible to hear more details, and with much better clarity. Sound Blaster E5 is able to decode audio files ranging from MP3s and CDs (16-bit/44kHz) to high-resolution 24-bit/192kHz files, be it from your PC / Mac or other smart devices. Powers High-impedance Headphones, With A Dual Gain Switch. A best-in-class Texas Instrument TI6120A2 headphone amplifier enables you to power any of the headphones available in the market, giving you clarity, details and a total harmonic distortion value plus noise (THD+N) of <0.005%. The headphone amplifier utilises a current-on-demand design in the headphone output, which enables the amplifier to respond quickly without the risk of output distortion. When a large amount of power is suddenly needed, the amplifier can respond extremely quickly without raising the noise floor and thus degrades the signal-to-noise ratio. Have a variety of normal and power-demanding headphones in your collection? The dual gain switch also allows you to match your headphones to the correct impedance from the Sound Blaster E5. 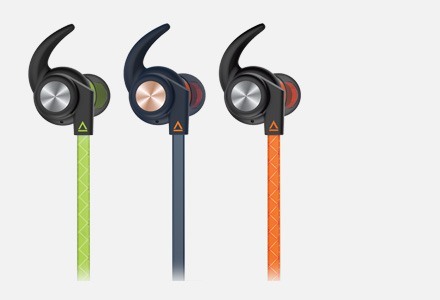 This gives you flexibility in listening to music at the most optimal playback volume. Headphones, like consumer speakers, have defined classes allowing manufacturers of amplifiers, receivers, etc to design with those standards in mind. Generally different types of headphone fall between 16-32 ohm for consumer or home applications and 600 ohm for broadcast applications. When designing the Sound Blaster E5, our engineers pushed boundaries by specially engineering the headphone amplifier circuit with a very low output impedance of 2.2 ohm. This allows the Sound Blaster E5 to accommodate both extreme ends of headphones in the market - from the most demanding high-impedance studio headphones to the most sensitive low-impedance in-ear monitors - while minimizing the introduction of distortion to audio content caused by variance in frequency response. The Sound Blaster E5 supports asynchronous mode which is superior to other USB data transfer modes. Data is 'pulled' from the computer under the control of the Sound Blaster E5, not 'pushed' to the DAC. 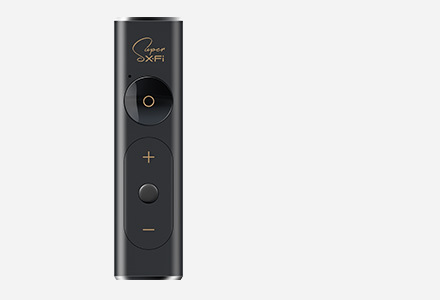 This allows the DAC to process the digital signal at its optimal timing, thereby ensuring the lowest possible output jitter and best possible sound quality with minimal distortion. The Sound Blaster E5 records via built-in dual microphones with auto-orientation sensor that reacts to landscape or portrait orientation, allowing stereo recording to smartphones or tablets. The Sound Blaster E5 also features CrystalVoice Technology, a suite of audio recording enhancements built into the digital signal processor (DSP) that reduces noise and provides for clear calls and voice recordings, be it from mobile phones or via Skype conferencing. Communication profiles such as A2DP, HFP and AVRCP are supported for voice calls. Sound Blaster E5 is built to also entertain. Incorporated into Sound Blaster E5 is a SB-Axx1 multi-core processor, designed to improve audio experiences, such as increasing the depth and spatial width of the audio you hear, be it in movies or gaming. The SB-Axx1 processor also saves all your audio EQ settings so that you can enjoy your personalised sound, whether the Sound Blaster E5 is connected to a computer, or as a stand-alone headphone amplifier. Enjoy immersive audio realism, with SBX Pro Studio when you are watching movies or playing games. SBX Pro Studio can be switched off, when listening to high-quality lossless audio, so that you may get to enjoy the songs unprocessed, in the way you desire. Get extensive audio control right in the palm of your hand with the free Sound Blaster Central app for iOS and Android devices. 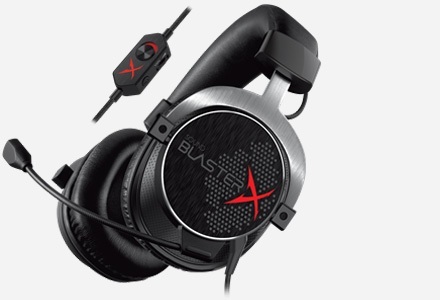 Use it to wirelessly customize all your Sound Blaster audio E5 settings so you hear audio, just the way you want it. The Sound Blaster E5 is equipped with a 3200mAh battery, which offers up to 8 hours1 of playback, even when using the Bluetooth connectivity option. Sound Blaster E5 also allows Android users to charge their smart phones while on the go. Sound Blaster E5 adopts the Android Open Accessory Protocol, which allow users with compatible Android devices (from version 2.3.4 onward) seamless control. The Sound Blaster E5 features Bluetooth 4.0 with NFC technology for one-touch, fuss-free Bluetooth pairing. 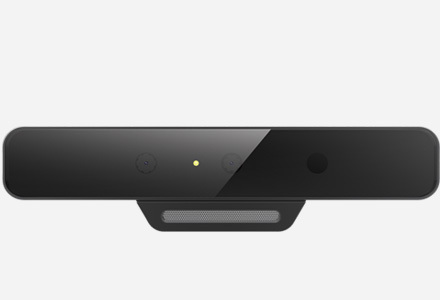 A wide range of Bluetooth streaming codecs such as aptX Low Latency, AAC and SBC which enhances audio quality wirelessly, are also supported. You can play digital audio direct from your iOS or Android* device via the Sound Blaster E5 to your headphones. Digital audio signals are sent from the device directly to the Sound Blaster E5, which decodes them without any degradation in audio quality. What you get is audio playback at its highest fidelity. Dual headphone output lets you and your loved one enjoy your favourite tracks simultaneously! Sound Blaster E5 sports a Cirrus Logic CS5361 114 dB, 192kHz stereo Analog-to-Digital Converter (ADC) that allows audio recordings of the highest fidelity to your device, be it PC, Mac or even smart devices. In addition, Optical I/O supplements the Line I/O to offer unparalleled connectivity options from and to digital and analog sources, such as today's gaming console, high-definition media player and even modern TVs. 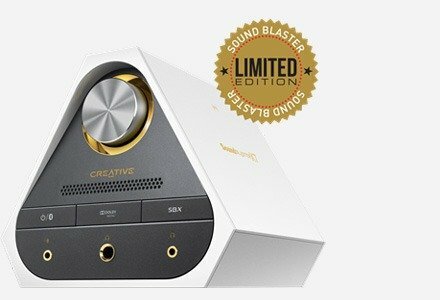 The Sound Blaster E5 is a MFi-approved product, designed to work seamlessly with iPod, iPhone, or iPad, and has been certified to meet Apple's performance standards. 1 Actual battery life will vary with usage scenarios, settings and environmental conditions. 2 Driver & firmware update required for added Scout Mode functionality. 3 Software & firmware update required for added 7.1 virtual surround sound functionality, and is for Windows only. This portable DAC and headphone amp is an audio powerhouse. The Sound Blaster E5’s BT performance is excellent and really is a key persuader. Match it with say an aptX compatible mobile phone you are talking above average quality and something I can happily listen to on the go. The sound quality that comes out of this diminutive device is outstanding. 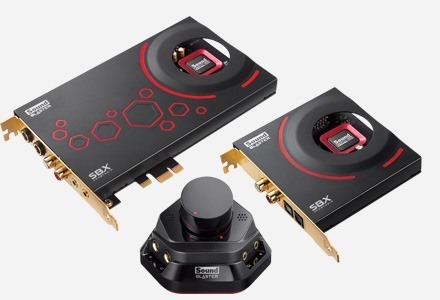 Creative's SB-Axx1 audio silicon has shown its worth in things like the EVO headsets and the mega-amp, the Creative Sound Blaster X7, and even in this little chassis it packs a punch. So going into my E5 testing I expected it to perform better but when I hooked it up I was taken back. The E5 sounds amazing right out of the hole when hooked up as a DAC through USB. My initial testing was using a high quality set of earbuds hooked up to my main PC. I have been using the Sound Blaster E5 for several weeks now, and it didn’t disappoint me at all. If I have four arms, I would have given it not just two thumbs up, but four. I would say the E5 is a fantastic all around DAC/AMP that will serve both gamers, PC enthusiasts, music lovers and audiophiles alike. ...on my Mac What I found was that the E5 did sound better than either my iPhone or Mac's headphone outs. How? Bass sounded tighter, highs were smoother, and the soundstage was more expansive. I'm going to be straight with you and tell you right now that these were not major improvements, but they were noticeable and did improve my listening experience. Much more than the stock sound, I think the wide variety of DSP effects will be of value to most people looking into the E5. The E5 is an extremely versatile device and can be used in numerous different applications. For $200 I find it sounds great and should satisfy most people looking for an all-in-one portable audiophile package. For gaming audiophiles, college students, audiophiles on the go, and audiophiles on a budget I would recommend this device without hesitation. The Sound Blaster E5 is all about quality. It improves your current situation, be it when you are playing a game, recording a video, making a phone call or listening to some music. This amplifier really amps things up. The Sound Blaster E5 handles digital to analog conversion and amplification nicely. It was able to handle high bitrates (192 kHz) and 24-bit data with aplomb. It produced clear mids, crisp vocals and deep low frequencies.The E5 can handle high impedance headphones up to 600 Ohms, which not many portable DACs/Amps can do. Sound Blaster E5 4.0 out of 0 based on 2 ratings. based on 9 reviews. Awesome unit for the price, great sound great connectivity. Powers high impedance headphones with great fidelity. Absolutely over the moon with this, many alternatives cost more than this. Amazing device because it has a portable size and produces outstanding sound when I use it with my Apple iPad 2! My congratulations to your engineers!! This little machine does everything I need it to .No hassles it does everything ,Love it!! Mobile device's best buddy. great for playing live version of music. Included DaC combo definitely better than your hand phone. I've had my SB E5 for a little over a month and put it to work in several different situations and can honestly say this is an amazing device. Daily I use the E5 at work with my CAD laptop that has a terrible sound card. I've been using it with my Bluetooth headphones, with the cord attached. This was counterproductive, as they are BT headphones. I recently added a TaoTronics TT-BA12 to my setup and it works great. I'm now cord-free and have all the great sound the E5 is capable of producing. I've also used my E5 on road trips with the kids to allow them to share the audio from a tablet and watch movies. No more BT speaker and my wife and I can talk or listen to our own audio in the car. I've also used the E5 while camping to watch movies at night in the tent and the internal battery has provided more than enough power to watch a few movies over a weekend. I was a little hesitant due to the price, but the features and flexibility of this small DAC have proven to be well worth the investment. The E5 have filled my needs/hopes and then some!! 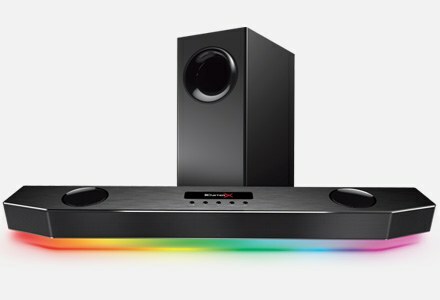 Sound-blaster E5 saturates the senses with total satisfaction. I was able manipulate the Control Panel with ease. Setup: USB from HP Pavilion Elite H PE to E5, Fiber optics from E5 to Integra DTR 5.3 receiver powering two pairs of Polkaudio RTi35 speakers and a pair of NHT Superone speakers. My perfect music companion!! I currently run V - Moda Crossfade Wireless 2 Rosè Gold and the Sound Blaster E5 with its Bluetooth aptx compatibles just like the V - Moda headphones has makes for a perfect listening experience with and/or without cables. Nothing to complain about you defenetly get what you pay for. My only wish would be for longer battery time. But it's totally manageable and with a powerbank the problem goes away. All in all a very good product, well designed, fine too look at. It brings attention if you are the braging type. Got att the functions you need and them some, with the App that goes along with the E5 you for plenty to play with. Even change your voice in phonecalls, can bring som extra joy if you are a prankster! 5/5 with out a doubt. I'm totally pleased! Thanks for me. Have a lovely one, peace! Excellent gadget to enhance your listening experience with several use scenarios. As a in car amp via AUX, and even an enhance phone car mic to car speakers via Bluetooth. As a Optical In to Headphones out for TV and Game consoles such as Xbox360. Amp on the go. PC Amp. Amp to any speakers via AUX, Optical Out Probably due to the high end internal components, the size is not exactly that pocketable. Maybe need to be in a bag for on the go moments. Use this product with my laptop. Incredible sound and excellent software. easy to set up. Would recommend to anyone thinking of purchasing. Very pleased with the sound quality of this device. Used this mainly for music. Have also used this to "amplify" the weak outputs from iPhones, be it from line-out or via USB cables (Note : the USB connection did not work with old iPhone 3GS, but works perfectly with 5S). Also, tested and used with in-car head-unit - works great. Most in-car head-unit have very weak source detailing, so I use this as a "pre-amp" between iPhone and the car amplifier. Worked like a charm for me. I had tried out several portable amp before committing on the Sound Blaster E5, and i havent regret the purchase. it is really awesome and mp3 reproduction is so much better. now i have looking to get a headphone to go with it.! Quite impressed with all areas of the product. Simple to setup software on both phone and PC. Massive difference in audio quality that brought a smile to my face. My headphones, car audio and theatre have never sounded so good, even my 15/year old headphones sound amazing. Wish I had bought this a lot earlier. The device works as advertised, the sound quality is being enhance through the use of the devices with my Bose in-ear headphones compare to connecting directly to the iPhone. It also gives me an option to connect wirelessly to my headphone via Bluetooth function. Overall a value for money device. Excellent sound quality. Better than the Roland DAC which I also have. Just wish there's also a skip track option on the device when I'm listening to music on a playlist. Overall, well-built with good looks.